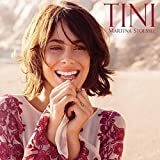 Se escapa tu amor / Losing the love – Paroles de la chanson dans “Tini : la nouvelle vie de Violetta”. Paroles : Richey McCourt, Nick Jarl, Christoffer Lauridsen et Lina Hansson. Your arrow shot, straight trough my heart. Let in the light, pushed past the dark. We once were young, but now we’re only saving face. We can never change the blood flow. Still looking back but see no trace. This love is a fever and I’m hit. Can’t stand it I’m bleeding, let me in. This love was a shelter. I love to come home to never more. The walls we build, can’t keep us in. The truth is out, the stampede begins. This love is a fever, and I’m hit. Can’t stand it, I’m bleeding, let me in. This love was a shelter, from the storm. A love to come home to, never more. Ever wonder why we stayed in this room. Living easy on the promises we made. Fighting hard to keep the wolves at bay. Your love was a shelter, from the storm. Mi corazón te vio llegar. A ti se abrió sin preguntar. Y nada brilla como ayer. No hay marcha atrás para volver. Hoy cae la lluvia sobre mí. Me ahogo y me duele estar sin ti. No encuentro refugio ni calor. Entre cuatro paredes de dolor. Se escapa tu amor, se escapa tu amor. Se te olvidó lo que te di. Debo aceptar que es hora de partir. Aún no sé por qué intentamos seguir. Si las promesas nunca duran por siempre. Sé que acabará y te perderé.